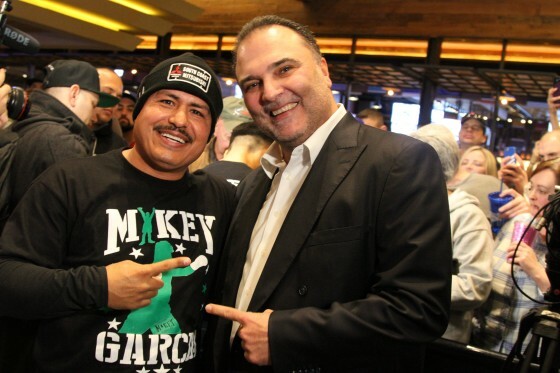 There was a great buzz throughout Las Vegas this past week, as the city hosted Leo Santa Cruz’s victory over Carl Frampton in their rematch bout inside of the MGM Grand Garden Arena. With over 10,000 people in attendance, Mexico’s Santa Cruz and Belfast, North Ireland’s Frampton gave the fans their money’s worth yet again. 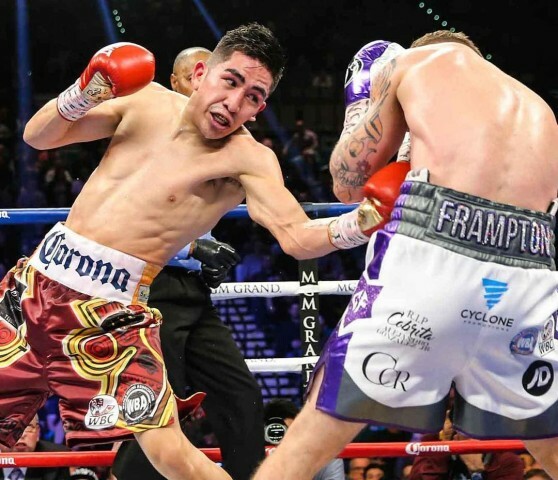 In July, Santa Cruz was upset by Frampton over 12 rounds in Brooklyn via majority-decision, but he turned the tables this past Saturday night, boxing and brawling his way towards a majority-decision victory of his own. The crowd was full of supporters for each man and it was another memorable one for the books. 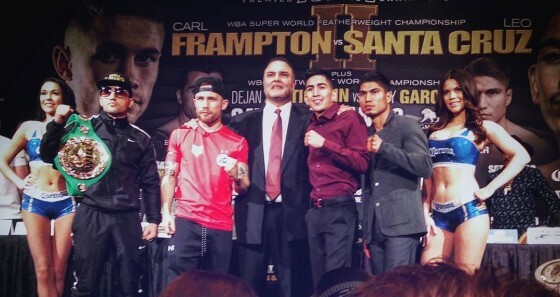 Moments ago, inside of the MGM Grand Garden Arena in Las Vegas, Nev., WBA featherweight champion Carl Frampton and former three-division world champion Leo Santa Cruz weighed in ahead of their heavily-anticipated rematch. The SHOWTIME-televised duel between Frampton (23-0, 14 KO’s) and Santa Cruz (32-1-1, 18 KO’s) figures to be a barnburner once again, as the two men waged a tremendous battle this past July in Brooklyn, New York inside of the Barclays Center, as the Irishman claimed a majority-decision victory. On Saturday night, Jan. 28, WBA featherweight champion Carl Frampton will face off with former three-division world champion Leo Santa Cruz in a heavily-anticipated rematch set to take place from the MGM Grand in Las Vegas, Nev.
Frampton (23-0, 14 KO’s) lost a hotly-contested majority-decision to Santa Cruz (32-1-1, 18 KO’s) this past July inside of the Barclays Center in Brooklyn, New York, and the second encounter is expected to be just as lively as an affair as the first. It’s another fight week in Las Vegas, as WBA featherweight world champion Carl Frampton will be facing off in a highly-anticipated rematch with former three-division world champion Leo Santa Cruz. Frampton (23-0, 14 KO’s) will faces Santa Cruz (32-1-1, 18 KO’s) inside of the MGM Grand this Saturday, Jan. 28, in a bout that will be televised via SHOWTIME. In the evening’s co-feature, former two-division champion Mikey Garcia (35-0, 29 KO’s) will face off with WBC lightweight champion Dejan Zlaticanin (22-0, 15 KO’s) from Montenegro in a pivotal matchup. Also appearing on the undercard will be IBF featherweight champion Lee Selby will faces off with Argentina’s Jonathan Victor Barros, while prospects such as super middleweight David Benavidez, Herbert Acevedo, and Leduan Barthelemy will see action. 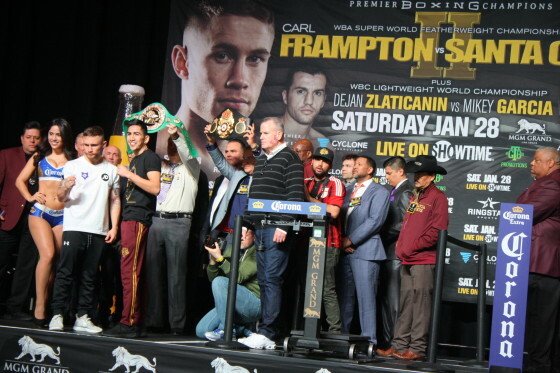 On Tuesday, Jan. 17, WBA featherweight champion Carl Frampton shook out for the media ahead of his Jan. 28 rematch with former three-division world champion Leo Santa Cruz. 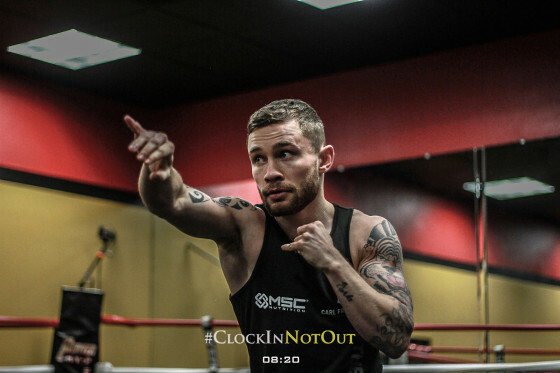 The sequel is set to air on SHOWTIME Championship Boxing from the MGM Grand in Las Vegas, Nev.
Frampton (23-1, 14 KO’s) is already in the city, and could be found hosting the press and doing a light workout during media day inside of the Porter Hy-Performance Center just north of the Strip. His first fight with Santa Cruz (32-1-1, 18 KO’s) took place this past July 30 inside of the Barclays Center in Brooklyn, New York, as the Northern Ireland native pulled out a majority decision in an excellent scrap over his rugged Mexican foe. 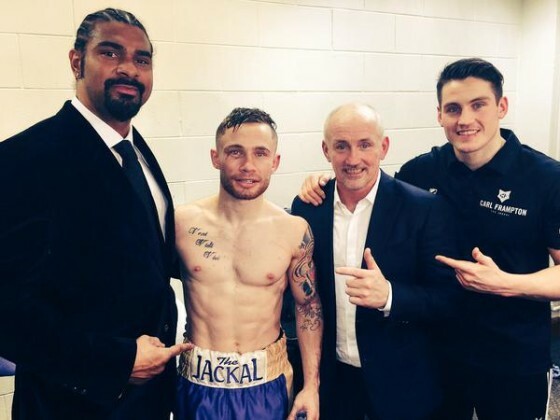 UK star Carl Frampton made the first defense of the IBF junior featherweight title with a 5th round stoppage over brave mandatory challenger Chris Avalos in front of a sold out crowd of nearly 10,000 at the Odyssey Arena in Belfast, Northern Ireland. The 28-year old Frampton (20-0, 14 KO’s) largely controlled the action against Avalos (25-3, 19 KO’s), who brought a six-fight winning streak into the ring with him prior to the defeat.